Visiting any church for the very first time can be uncomfortable. We want to put you at ease. 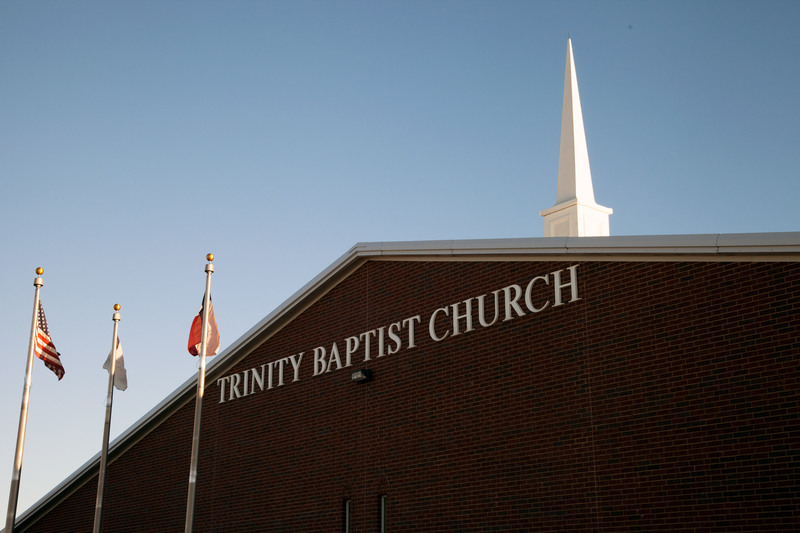 Your first visit to Trinity Baptist Church will be comfortable, refreshing, friendly, and enjoyable for your entire family. We want you to experience inspiring music, helpful teaching, Bible preaching, friendly people, and a place where you feel welcome and “at home!” Here are a few answers to frequently asked questions, as well as what you might expect on your first visit. We have a wonderful program for teens! During Sunday School, they will meet with other teens, sing hymns, and learn from God’s Word. We are mindful that the teenage years are the most important development years for a spiritual life and walk with Christ. Our Youth Leaders encourage participation and dialog for the purpose of developing an understanding of a Christ-centered life. Our College & Career class is designed to help young singles and young married couples navigate through the many life changing, as well as life challenging transitions they will face. We accomplish this by providing direction and applying Bible doctrine. Each week, our young adults are encouraged through the teaching of God’s word, and are taught life skills as they relate to Christian principles and ethics. The College & Carrer class also meets monthly to share their personal experiences during a class activitiy which includes food, fun, and fellowship! There is not a dress code at Trinity Baptist Church for members or guests. Our ministry leaders and many of our church family dress in more traditional “Sunday Best;” however, our main goal is that you would feel welcomed and comfortable on your visit to Trinity Baptist Church! No. You are not invited to Trinity Baptist Church for your offering. We want our service to be a gift to you! Our desire is that you will find a warm and friendly spirit, truth from God’s Word, and a place where you can grow in God’s grace. Please do not feel any obligation to participate in the offering as a guest. If there’s something we missed, just give us a call, or ask someone when you arrive. Whether you’re new to the area and looking for a church home, or if it’s been a long time since you’ve attended church at all, we hope your first visit to Trinity Baptist Church will be awesome! We exist to serve you and your family, and we are looking forward to meeting you personally. Let us know how we can serve you better; and we hope to meet you this Sunday! Want to know our next worship time?